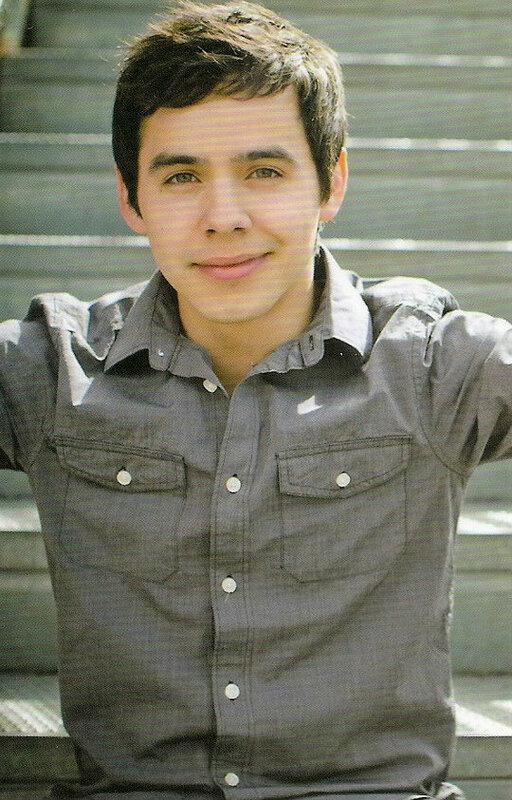 David Archuleta in Concert November 6 & 7, Tuacahn Amphitheatre Saint George, Utah! 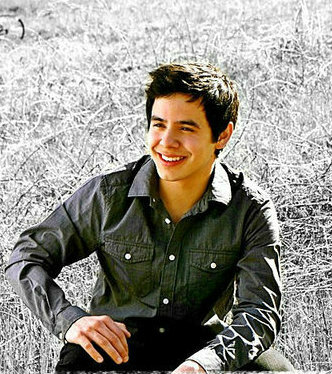 ST. GEORGE READY FOR THE DAVID ARCHULETA CONCERT! Sounds like a gorgeous theater! Center) with 32 rows A (front) – FF (rear). All seats have backs and arms, but are not cushioned. Entrance to the amphitheater is from the rear, requiring all patrons to descend the stairs toward their seats. Patrons with limited mobility are encouraged to sit near the top (rear) of the amphitheater. There is extra leg room on row O which is sometimes used during the productions when actors walk through the audience. Wheelchair accessible seating is available on the back row (FF) only. The stage has a concrete subfloor with a concrete pass-under tunnel to get from stage left to stage right out of view of the audience. The rear of the stage is open to expose the desertscape and red rock cliffs behind the stage which contains lighting, sound, pyrotechnical, and water effects installations. The area behind the stage is a mixture of natural stone and naturally colored concrete. This concrete riverbed was installed during initial construction to facilitate a massive 55,000 gallon flood of water that comes from the back of the canyon and across the stage toward the audience. Though conceptualized and custom-built for the “Utah!” production, this special effect and other water effects have been featured in numerous productions at Tuacahn. I’ll be heading out Friday morning to Saint George. I’m not a natural video taker lol but I’ll scope things out and see what’s doable :))) I’m su per excited and this week is taking for ever!!! Through the kindness of others I will be taking several grandkids who had wanted to attend and now are. David fans are incredible. Thank you. 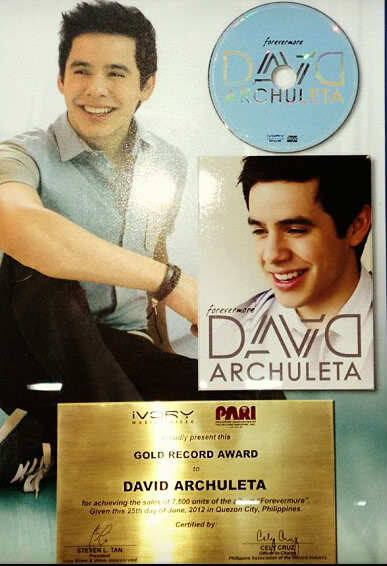 Gladys is also on her way to the states to see David Archuleta in concert for the first time! I can’t wait to meet her and others, and those I haven’t seen in some time. It’s going to be great! The Fan Luncheon information, thanks to Kalei! Wear your favorite David attire! Time: 12:00am – 3:00pm *Updated Time! 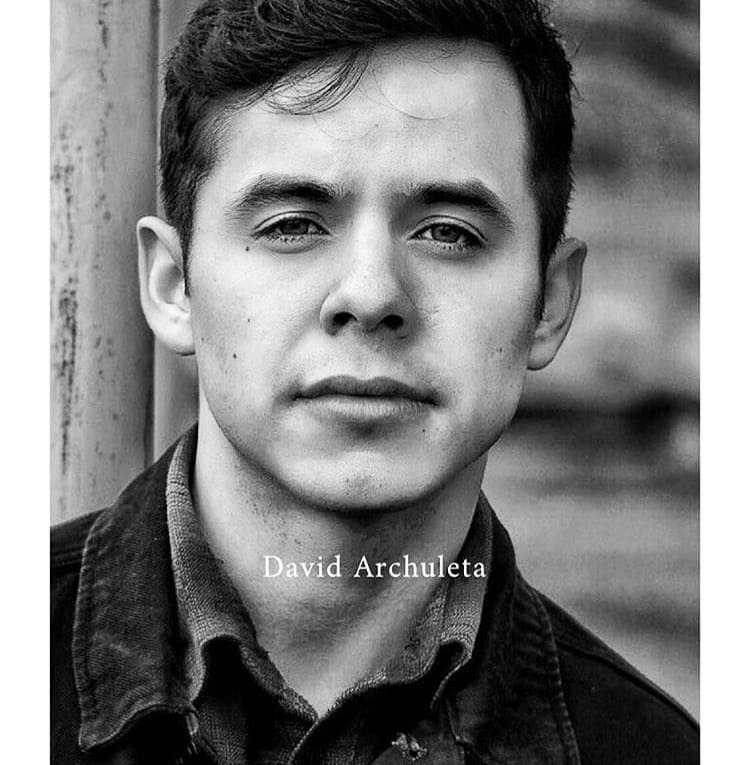 This entry was posted on Tuesday, November 3, 2015 at 12:15 PM	and is filed under @DavidArchie, Appreciation, concerts, David Archuleta, fandom, music, The Voice, Uncategorized. 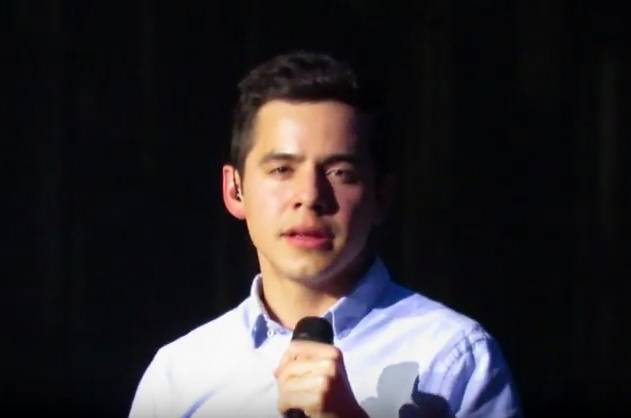 Tagged: @DavidArchie, a gathering of angels, Archuleta, David Archuleta, feeling his voice, Gotta love him, missing him, St George, the Voice, Tuacahn Ampitheatre, Utah. You can follow any responses to this entry through the RSS 2.0 feed. You can leave a response, or trackback from your own site. The time is drawing nigh!!!! I’m sooo excited for this weekend!! But at the same time, I’m feeling somewhat selfish because of the fact that I’ve been able to attend so many ‘David’ events in the last little while and there are so many others that are still waiting for that chance. I sure hope that next year brings that opportunity to all of you. ♥♥ It better!! I am so excited for everyone who is going to Tuacan!! please,just remove that thought from your sweet head! Gladys welcome back to the USA you will soon be here in a gorgeous part of the country.! This one will be so much fun for the fan get together, as well as the MAIN♥ event ! Ya’ll make lots of noise for all of us who can’t be there in that beautiful place, and have a wonderful time!! I can’t even imagine his voice echoing through that place. Here in Las Vegas waiting for Jan’s plane to land. Weather here and St George is in the 60’s. Chilly at night but there will be no snow. I’m hoping it will not be too cold for David. Dayzee, I believe Gladys plane lands today too. You might spot her at the airport! No wait, read that wrong. She leaves tonight a 9 and arrives in Vegas on the 4th! She’ll be taking the bus into St George from Vegas to the Abbey. I’ll make sure to tell her to let me know when she arrives! Safe trip, Jans! And Gladys, And Djafan, and…. all you amazing peeps!!! Tawna, didn’t you get signed up for the fan luncheon at noon Sat? If not and you want to go, we can give you the details. Oh dear!!!!! I’m beside myself hahahahaha. And something is up!!!! David in the hashtags on the last one. 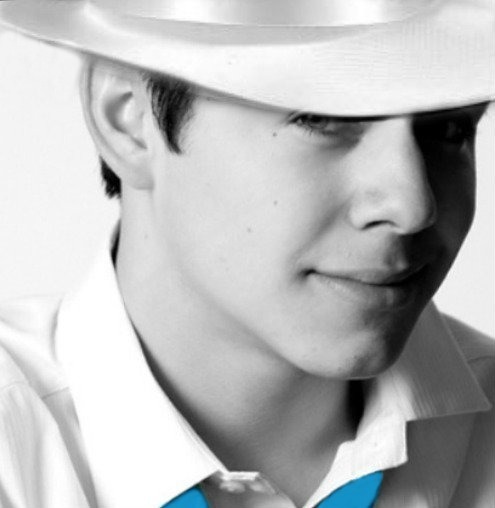 Hanging with @DavidArchie and some other great people at one of Al Capone's old hang out! Something beautiful is going on here today. A castle. The word “acoustic”. Nathans’ cellist. Leo on instagram— speaking of angels. Kari texting. What do you think? Maybe a joint CD? PS – The Divine, what a great name for just about anything relating to music, DA and Nathan. Ha, ha. Djafan… I know. He has been in Nashville a while now. Welcome to the U.S.A., Gladys!!!! Welcome Gladys! Enjoy the concert! Just got back from Maui and one of the best vacations ever with my 4 sisters. So great visiting and sharing that experience together. We’re planning a New England get together for next years sister’s reunion. Yes, it was planned so I would be home for this weekends concerts, but just read that their may be no recordings 😦 I sure hope someone will give us some of what goes on with that glorious voice! For all of you lucky ladies going, be safe in your travels and have a blast!!! Gladys ! So happy you had a safe journey — have an absolutely wonderful time at the concert and during your stay. So glad you made it. Welcome to the U.S. 🙂 I hope you have a great time here. Stay safe and have a wonderful time at your first actual full blown David concert! Welcome to Utah all you travelers. Hope you all have a great time. Of course, that will happen if David shows up. Jan & I are in Vegas gambling away all our money. Please send cash, no checks. Jan is afraid you will think I am serious and wants me to put “haha”, but if you want to send cash it is still okay. Excited to see David and so many fans. Getting antsy. Anyone who would like to join Tawna, Jan and I, we are meeting for an early dinner/late lunch at 4:00 on Friday at Kneaders Cafe, 199 N Bluff Street in St. George. This is a few miles north of Best Western on Bluff Street on the way to Tuacahn. Would love to see all fans. Reading about this venue, The Tuacahn sounds ike the perfect place for the perfect voice. 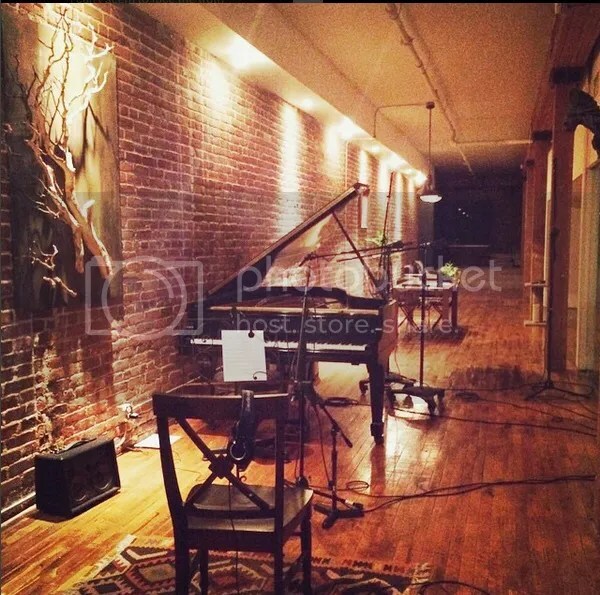 Heavenly acoustics and not a bad seat in the house. Who could ask for more? All who are lucky enough to have tickets will be as blown away by this show as they were the first time they heard David live. He just has that effect on you. Gladys, a great big Welcome to the USA. I hope we will one day wind up at the same show. It would be awesome to meet you! I’ll be meeting Gladys tomorrow, meeting up with those I’ve met, and meeting others! What an incredible David time! We’ll be in his presence tomorrow!!!! I’ll be heading out with 3 generations in the car! 5 grandkids, a daughter, and a mother!!! Have fun ladies! I wish I could be there, so I am hoping for some awesome play-by-play from you all! The finest singer on the planet is going to inspire & awe all who are blessed to attend, of that I am quite sure! 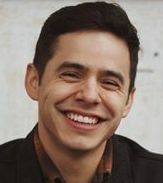 I’m also excited that so many of David’s lovely fans will be meeting each other and share stories of how & why they are still fans of this vocal genius named David Archuleta! Go girls! WOOT! WOOT! My sis! I am so happy you arrived safely. Are you sure you are in Las Vegas? I looked up the hotel and it’s in St. George. 😉 It is in a perfect location. Gladys – welcome to the United States. Long time no talk. Have a great time here! Hey there Gladys! Hooray, Welcome to the good ole U.S.A! 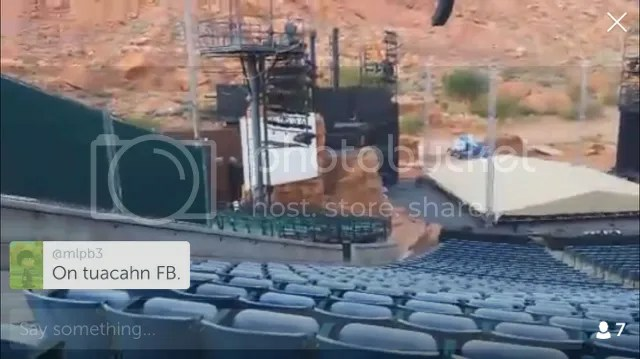 Just watched a short Periscope by Nancy, Donna and Koko out in St. George at the venue. They took a ride out to see the place. Donna got out and walked around the entrance and up to the arena where the show will happen. I took a few of screen caps from my phone. Safe travels to all those arriving in St. George tomorrow! Yayy! Today’s the day. Ready or not, here he comes! Fans have kidnapped my sis! YAY! have a blast !! Excited for the shows at the Tuacahn tonight and tomorrow here in St. George, UT! It's beautiful out here! Yay!! We made it to St. George!! Looking forward to finding Dayzee and Jans. Would love to have anyone else join us at Kneaders at 4:00!! Nothing yet Bluesky. If I get an alert, I’ll post the name. @KOKO21 is showing the merch table at the moment. Nance posted this on Twitter. It’s the lobby, Merch table before the show. On Periscope. Thanks Bebe. I deem you the PC link poster for Periscope, for the night. LOL I only do iPad and phone Periscope. I’m lame sometimes eh? Djafan has a great seat!! So happy for her and all the other Archies who made it there tonight. Twitter is filled with awesome pics of groups of fans anxiously waiting for the show to start. It looks chilly there but they all look blissfully happy! I wonder do the rock formations have lights shining on them at night? That would be super cool! eek, Hi DJA thanks for periscoping to us!, wow great seats !! Waving upwards Hiii Sky!!! Imagining those rock formations with lights for the drivers to see at night. What an awesome sight. Hope the drive to the hotels is not too far and that there’s enough light to see the roads. Gracie is performing now, opening act. Then I assume will be intermission. Hoping for a periscope or two. Shelley has clips on her IG page. Click them to read any updates. 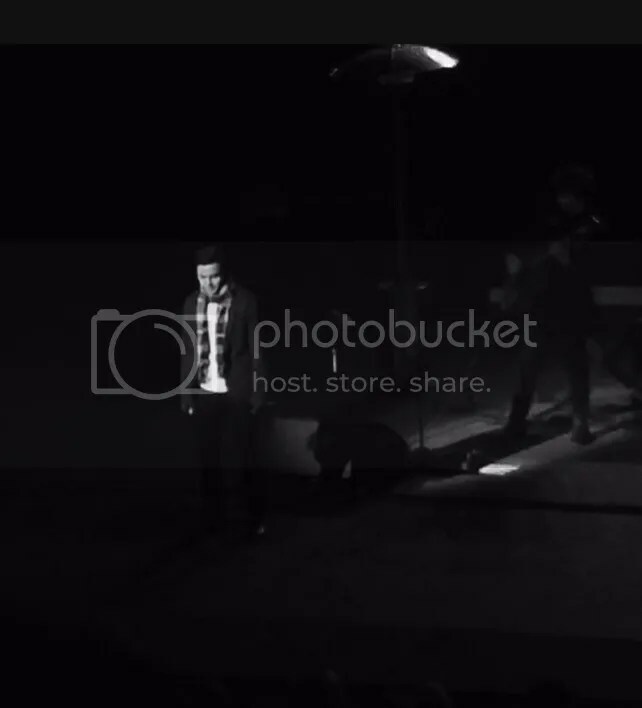 Bebe, I have video and audio on my phone but on Chrome on the PC it’s only audio. MT The link works with video now. Not exactly sure why it didn’t show video before. Thank you to all the fans who post pics and clips from last night. Not sure if this clip will embed, but you can click to play the video. I am saving the Periscope videos and Shelley’s too. I’ll put something in the Candy Jar early next week, once I have time to sort through any that may show up from tonight’s concert. The audio is so good! Is there any way to find out where “the Voice-concert-goers” are sitting tonight? I would love to meet them! My daughter and I were able to get tickets for last night (100% blown away!) and tonight. I would love to put some faces to the names I see here so often! 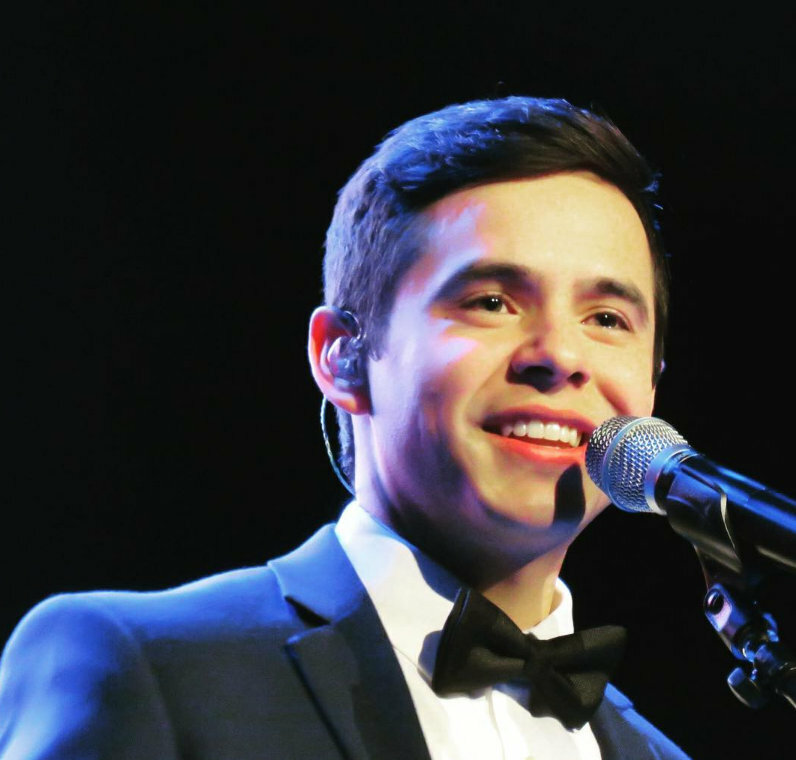 My fourteen-year-old, stingy with praise and a bit skeptical about seeing David, enthusiastically said to me as we were leaving Tuacahn last night: “That was almost a life-changing experience!” And, “His voice is absolutely incredible!” She kept repeating that there was something so powerful about seeing him live compared to his recordings. At one point in the concert, she turned to me and said, “I think I’m in love!” She was actually one of the first of the crowd to get on her feet and dance! I told her about the tickets tonight and said she didn’t need to go…haha, no way was she going to let anyone else have them! I’m sure you will hear from many how truly amazing the night was–his voice gave me chills over and over again, and he seemed to pour every bit of himself into every song, even to the point that I was sure his voice would eventually give out!…but the thing that really took me by surprise was how absolutely comfortable he seemed in his own skin and how effortlessly he took command of the stage (and of course, his voice!). I texted Dayzee for permission to send you her cell number. I sent you an email with her number! Call soon, as she says they go to the lunch thing in an hour. Maybe you can crash it and see everyone. I know they will be glad for fans to show up. I don’t have any details but Dayzee knows where it will be. Perfect wallpaper 🙂 Pocoelsy is the bestest! Thank you so very much for the videos. I didn’t have time to watch the periscope live broadcasts but I think I have now managed to catch up with the available recordings. He is incredible!!!! How I wish I was there!!!!!!!! Duets have never been my cup of tea, but I thought he was stellar in this latest performance of Don’t Give Up. 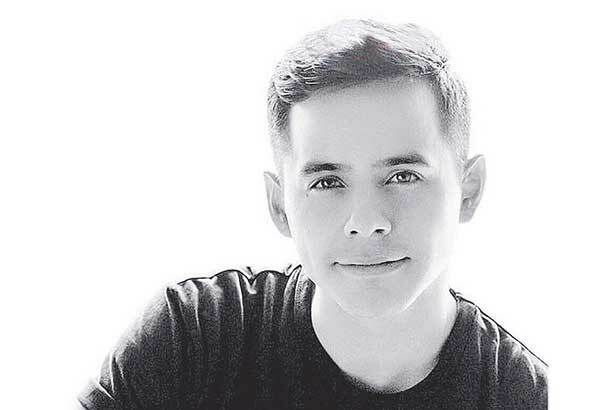 HIs voice gave me chills and all those shots of him waiting for his turn to sing – oh my!!!! – all totally scream cap worthy moments!! Looking forward to the next show. And I am so happy for all the fans who managed to meet after all this time. So happy for Gladys to be able to see David. I want to know if Gladys is still alive. I get the feeling Djafan barely made it. And this is the first time Gladys has seen DA live and “unplugged”. Hang-on peeps. Hang on to what makes you true. I spoke to Djafan about 2 hours ago. She kept babbling about how David is a man now. 😉 I made her promise to try to Periscope tonight. She said when he came on the stage she went into a David trance. Nothing else existed. She met up with Gladys and we will hear all about it in her recap for sure. Shelley has added Beautiful to her video page. I . met. Djafan. AND. Gladys!!!!! Oh, and Shanny from Australia. And, Djafan’s mom. What a sweet lady. She understood my hi and thank you and I understood her thank you, but that was all that was needed. What an awesome time at the fan luncheon!! Holy fun time, Batman!! Jan and Dayzee are a hoot to be around. Sure do love them! My hubby fits right in with them. It’s hilarious to watch. There were actually quite a few husbands there today. 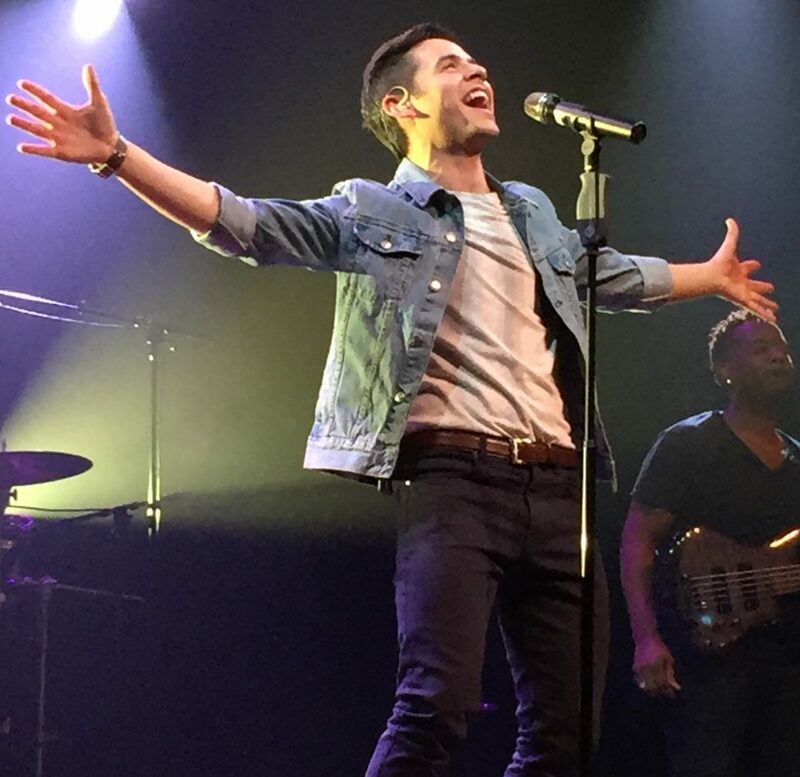 The reports from last night’s concert have me pumped for tonight…. what am I going to do with the next 3.5 hours!? We drove out to the amphitheater this morning and got caught up in the ‘flea market’ that was happening. I bought a blanket for tonight. 🙂 What a beautiful place it is out there. Pocoelsy, that collage is beautiful!!! Thank you! I’m so looking forward to Djafan’s recap! Group photo from today’s lunch party for fans. Kaycee did you stop by? It looks like a peaceful place for sure ! I’m very happy that he doing concerts again now. and All seem to have enjoyed last night! But, as I have some problem to hear, I wonder about the concert last night. if it’s no inconvenience to you guys, could write down the script of these videos? awww Cupcakes!! way to go Shell_eeeyyy! Ok We have some rebel fans ! And Kari did a short backstage of the opening song TOSOD. I’ll take a video anytime over a picture of people eating cupcakes, no matter how cute the person holding the box. SAD!!!! Still, I am very grateful to all who took videos and uploaded them. Thank you so much. Fenfan Get your hearing checked. 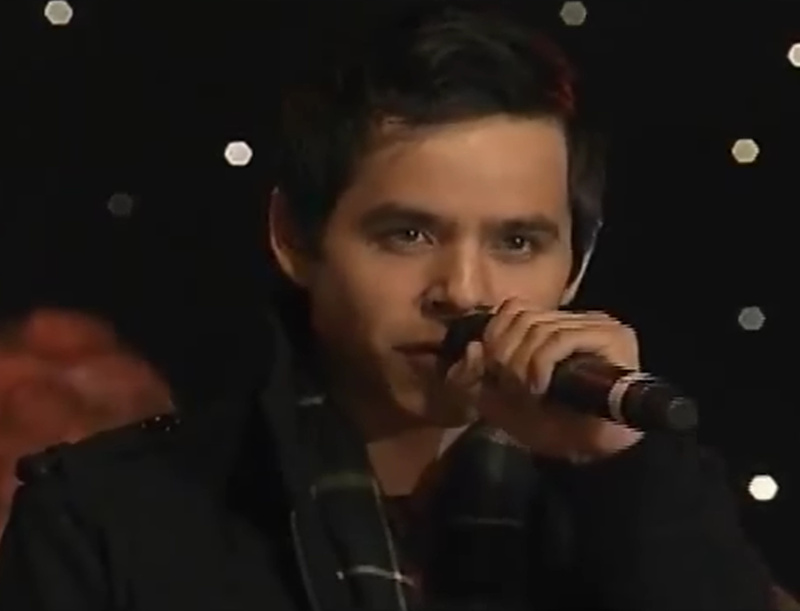 😉 You look for things that aren’t there P~~~ David sang perfectly last night. Rachel #98 I will be posting Periscope videos in Abrra’s Jandy Jar. Watch this site and I’ll post a link when I have them uploaded. You can do the script for yourself. Shelley put up more videos from LAST NIGHT! Thanks Bebe! Thanks to you and to Abrra, for staying up and staying on top of things throughout these two days!!! Love you guys♥appreciate you so much. Looks like a lively crowd tonite,they are on their feet! 104 Abrra…ha, ha! You know, I did find that he had an issue a couple of times with the words…. (what were those dang words anyway?)….. but I agree with you. Pretty much perfect. He really was on fire. A great, great performance. You know, the venues are simply working off of the ‘old school’ way of thinking and doing things. I don’t know when they will catch up. But it is all changing. And someone who can fill the seats like DA does… someone who we all know is an entirely different “item” when he sings in person than when he records… he has/is a commodity that people will pay to see and hear live – under any circumstances. Let the venues catch up to that and they will be selling digital tickets to go along with their in-the-seat tickets. It will happen. Has to. Meantime, you get your sleep!! You are so loved and appreciated. 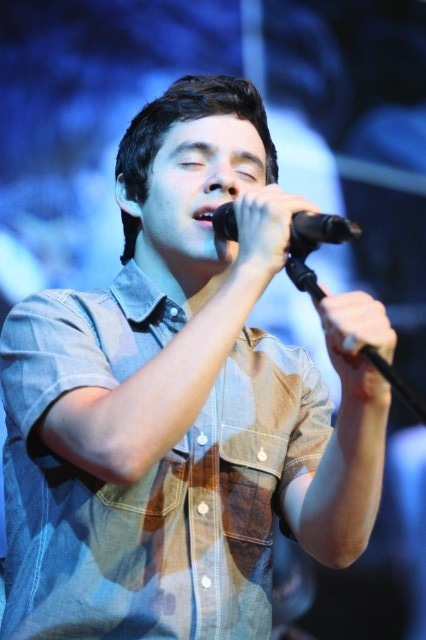 I survived a David Archuleta concert in an open air amphitheater in the red rocks of Tuacahn!! I can’t wait to read Djafan’s recap! The canyons of Utah will never be the same after having ‘the voice’ penetrate their rocks!! Thanks to Shelley and all the fans who were rebels last night. Sunday puzzle is everyone’s wish to own. Beautiful from last night .More for the audio as the view is blocked. Hellooooooo everyone!!! I’m home! It was the best ever!!!!!! 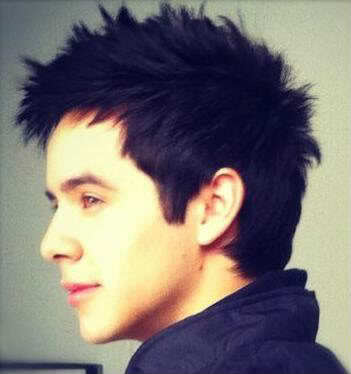 Sorry I haven’t been here much but I got so immersed in David that I feel like I’m walking on air!!! I’m going to try to gather my thoughts. 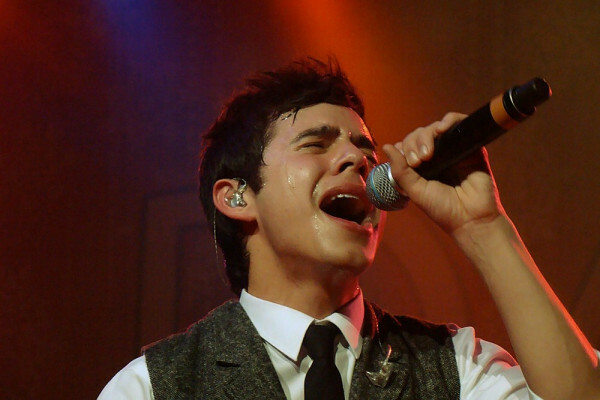 Just know that David Archuleta is back better than ever! A great big thanks to Nance from CT and djhsail for Periscoping on Friday and to Bebe and Abrra for bring links, photos, and pictures here for us both nights. David looked like he was having a ball and sounded great! It was so much fun taking part on Friday! Djafan!!! I know! I know!!! From last night, Don’t Give Up (audio). It has a long intro talk before the song. 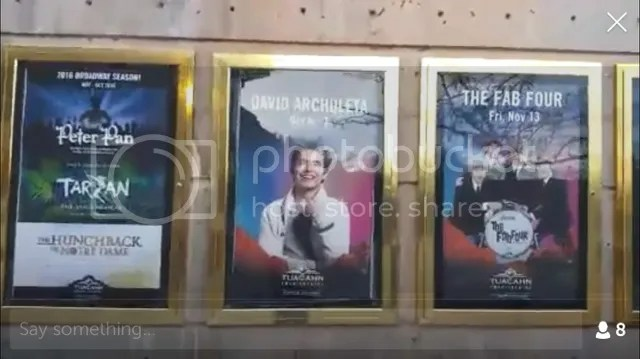 I have put videos of David’s concerts from Idaho Falls and Tuacahn playing on repeat in Unplugged. Hello all!!! Back at work but still flying high!!! lalalalalalalalal ladeeda!!!!! What a great trip and concerts! I loved the scenery in St. George. Got to meet Gladys and practice my Spanish on her. She was very kind to say I was doing well haha. Actually, SHE did very well understanding English and saying some things. I checked in with her from time to time but DJAfan and Erlindita took good care of her. I am also now a fan of Gracie Schram’s mom, who does her merch table and apparently held up one of the red rock bluffs (in a picture anyway 😉 David was fantastic both nights, as you can tell from the videos. Peeps who are going to the Christmas shows are very lucky! I wonder if Gracie will sing HYAMLC with David? I bet so. You did very well! So great to meet you. I spoke to Gladys today and she was going to stay in Vegas the rest of her stay. Monica and Martha took her there on their way back to Cali and spent the day with her. David fans are the best! 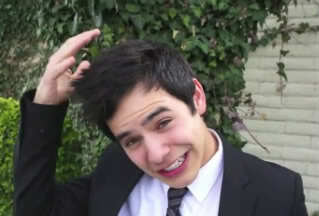 This one is classic David! BTW….. Sunday’s puzzle was a delight! Thanks! I will copy that clip and put it in the Candy Jar. It’s soooo good. I started editing the videos from Tuacahn and making MP3’s this morning. I’ll be uploading them in a few days. Thanks for the interview Martha! “I didn’t even know I got signed. I just was.” O.M.G. What a great interview !!! I’m home, but don’t expect anything beyond babbling yet. However the pic with Alec sobered me. That genuine caring look on David’s face would warm anyone’s heart. 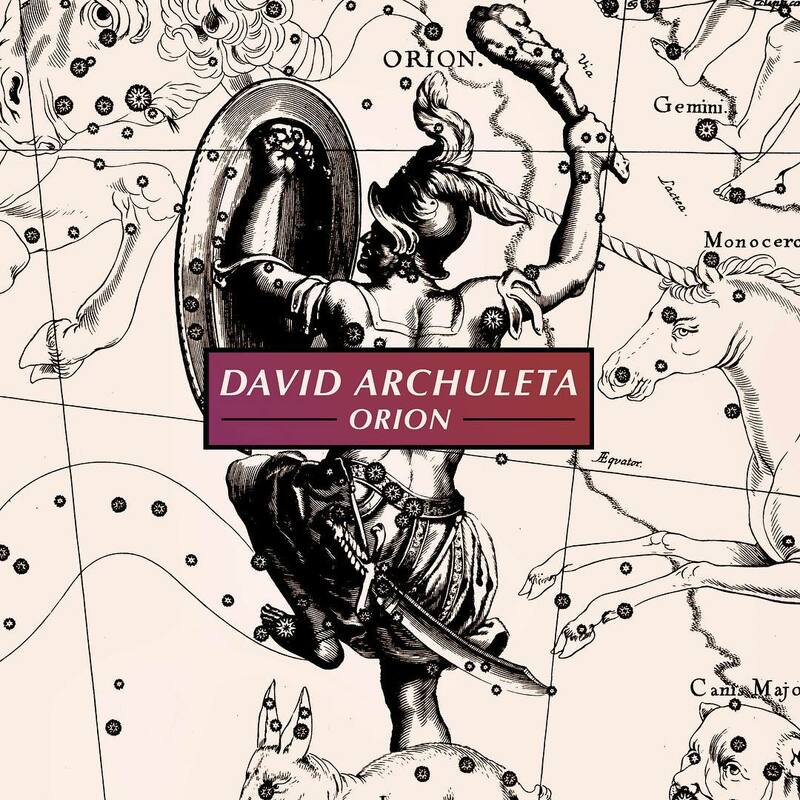 Reminds me of how great David is beyond his voice. Abrra, thank you thank you for Unplugged. I can see those videos and relive the joy of those performances. At Tuacahn there is a waterfall that begins at the top of the stairway to the seating area. You can see where it begins at #36. 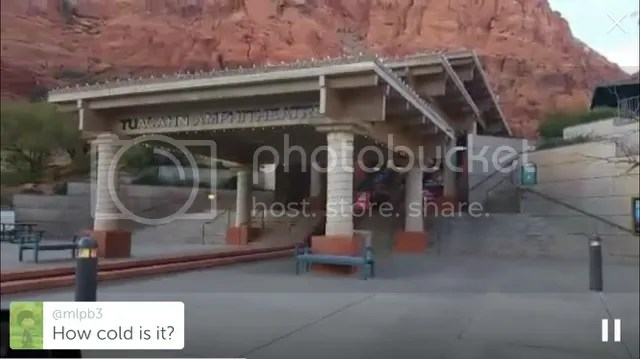 It drops down the stairs and all the way through the parking area, ending at that beautiful Tuacahn sign at the entrance. The water has such energy and feeling of renewal it put me in the mood for David’s singing as we trudged our way from the car to our seats. The morning after I went to get a pic of the water, but like David it was gone. No David, no bubbling stream. Reminded me of the empty window in Idaho Falls where David’s picture had been on display all summer. The luncheon was terrific. So many nice people. And what else would we be doing between shows? Driving each other crazy, right? Shelley just keeps on giving 🙂 Audio only. It is so hard to describe the fun times I have had so far! A double concert, how awesome is that?? Two nights in a row of David was still not enough! 🙂 And in Tuachan! Two beautiful things together! Friday, 1st concert–Just 6 rows back and the 1st time after 4 years of seeing David, it was a thrill to watch him running out on the stage, waving, showing that big smile of his! 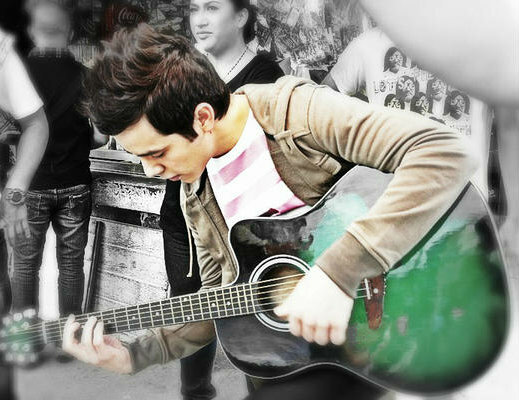 I was so grateful that he stayed in music! This is where he belongs! He is back! He commanded that stage and more sure of himself, I think! Love his band too. They really accented his voice and the whole thing sounded more professional than ever! 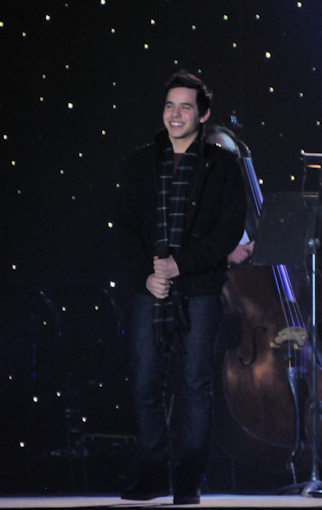 Even though it was cold, we were all bundled up and braved it like good David fans! 🙂 There were heaters on the stage, but David was all over the place, jumping, spinning and dancing that probably kept him warm. He talked between some of the songs, which was endearing…I love to hear him ramble… Beautiful was Beautiful and the duet with Gracie, Don’t Give Up was outstanding! How he keeps holding those glory notes is beyond me! He ended with everyone’s favorite, Crush! His encore songs were Nunca Pense, he said he had to sing something Spanish! And Glorious, which it was! Saturday..Luncheon…was so much fun meeting the old and the new! Gladys from Argentina, Shanny from Australia, Gwen from FB, Kalai from Hawaii and Shelley that keeps us supplied with good videos! 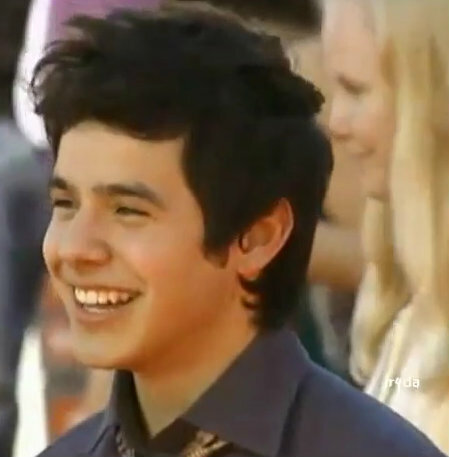 Such great people, David has the best fans ever! Shelly brought photos for everyone and Shanny brought little goodie bags that had some Australia things like kangaroo magnets! 🙂 Good fun and good food! What a Glorious time we had! Love all the photos and interviews with David. Thanks everyone for posting them! 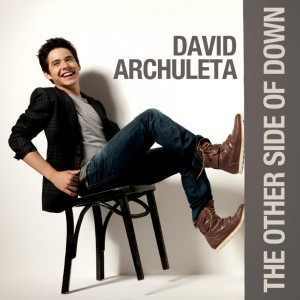 @FODFansofDavid David sang Como La Flor for B93 today and was interviewed. Hoping it is uploaded. That radio interview is sooo good. It’s so wonderful to hear David be able to express his true feelings about things in life. Funny story from the luncheon. In the goody bags from Shanny, she included some little sample packets of Vegamite. She gave us all instructions as to how to use it. She gave a definite warning that it’s really important to spread it very thinly on toast… too much is not a good thing! 🙂 I’ve heard of it, but I have no idea what it is and I haven’t tried it yet. I’m a little skeptical of it. My hubby had it alot when he was a missionary in New Zealand, and never did learn to like it. What a fun time it was on Saturday! Found this just now. 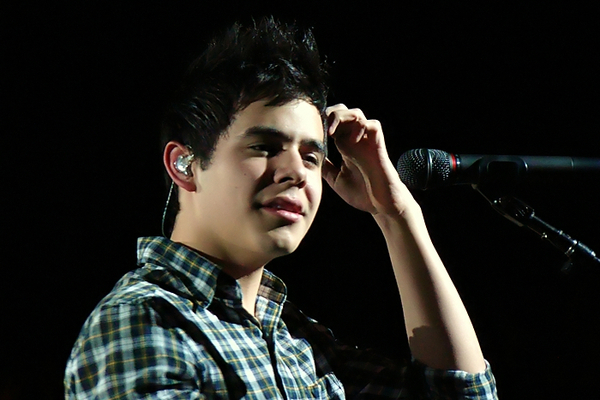 David gets prepared to go on stage in Tuacahn. I don’t recall seeing this one on Kari’s Periscope. 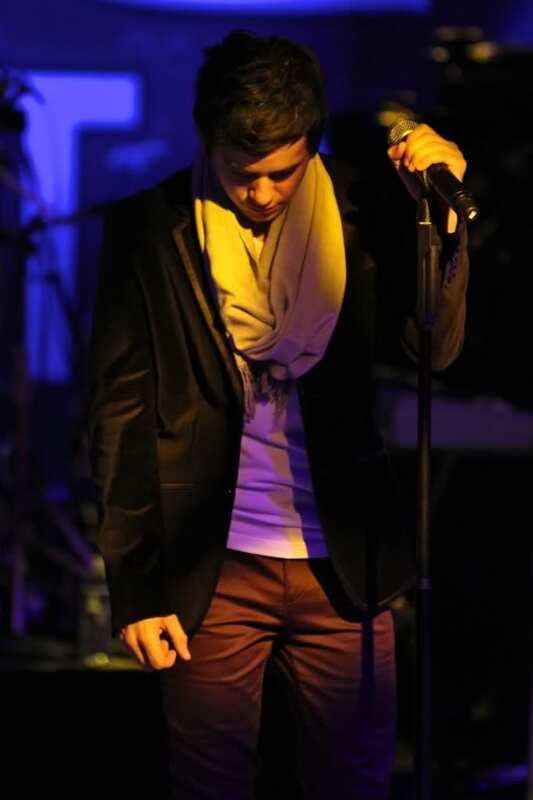 David Archuleta jumps as he gears himself up to go on stage! It’s a must see! Seeing that picture of David with Alec was so touching. I went on the facebook link Pray4Alec and read about him. He was bike riding and crashed and got a traumatic brain injury. It really hits home for me. My sister’s son, has been a BMXer all his life. He’s even been in the X Games, ramp jumping. Several years ago he had a fall from a skate board and had a traumatic brain injury. He was finally getting his life back somewhat, when a couple of weeks ago he was trail riding and his bike flipped and he landed on his head. He was rushed to the ER and had more bleeding in his brain. His brain is no longer bleeding and he’s out of the hospital, but I doubt if he’ll ever be “right”. We’ve been reading about the brain disease in NFL players called CTE. We think this is what he has, and there is no cure for it, it just gets progressively worse. I pray for Alec and my nephew. I know it does no good to say stay off bikes, skateboards, don’t play football, and other sports that have a danger of concussions. People want to enjoy their lives. It’s just sad that, sometimes these things happen and then your life is screwed up. It’s a fine line we walk, and there’s no good answer. Thank you for giving us the info on Alec. I was wondering what his injury was, but didn’t pursue finding out. Best wishes and hopes for a good recovery for him… and… for your nephew. I have grandsons that do, to me, stupid things with bikes and sports. But, like you said, it does no good to say anything about it to them. We just continue to pray for their safety and well-being. Loved the “Pre Show Jump”! So fascinating to watch David move from any angle. Big hugs & <333 to all you Voice lovelies!! !